Adam Akullian has a Ph.D. in Epidemiology from the University of Washington and an Sc.B. in Environmental Science from Brown University. As a doctoral candidate, Adam studied the evolutionary ecology and spatial epidemiology of emerging enteric diseases in rural and urban Kenya, as well as the geography of HIV in rural areas of Kenya and Uganda. He is also a recipient of a National Science Foundation (NSF) Graduate Research Fellowship. Before graduate school, Adam worked as a research scientist at the University of California, Berkeley where he investigated the ecology and spatial patterns of Schistosoma japonicum in China. 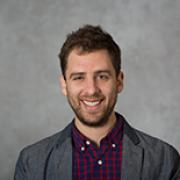 Adam is currently a post doctoral fellow at the Gate's funded Institute for Disease Modeling (idmod.org), where he applies mathematical and epidemiological modeling of HIV in sub-Saharan Africa to inform effective public health interventions.